I had a whole post written about what I’ve been up to in the past month and offering excuses for why I haven’t been blogging. That post is filed away for next time and this month’s Recipe Swap is taking precedent! For more than a year, Christianna at Burwell General Store has been sharing vintage recipes with a growing number of talented bloggers. I joined the group a few months ago and look forward to every swap as a new opportunity to really let my creativity loose on a recipe. We all have to come up with something closely or very loosely based on the original recipe. The results are always quite different! This was the first recipe I didn’t fall in love with at first sight. 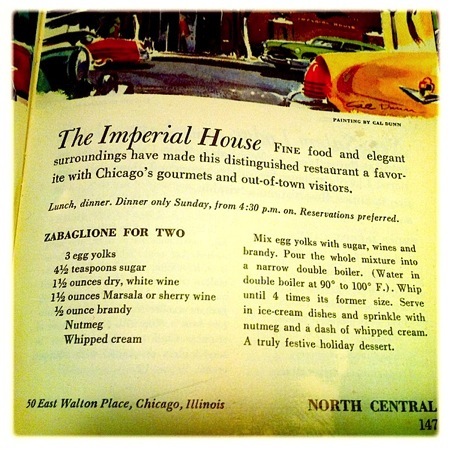 Zabaglione is not the kind of dessert I would ever order in a restaurant or make myself at home. I guess I have simpler taste in sweets and don’t normally go for boozy food. It was clear that this swap would take some thought. Unfortunately, I had A LOT going on, as you will read in a future post. My brain just wasn’t on blogging. I bought marsala wine. I bought eggs. Hey, maybe I’d just make zabaglione! I did lots of research. 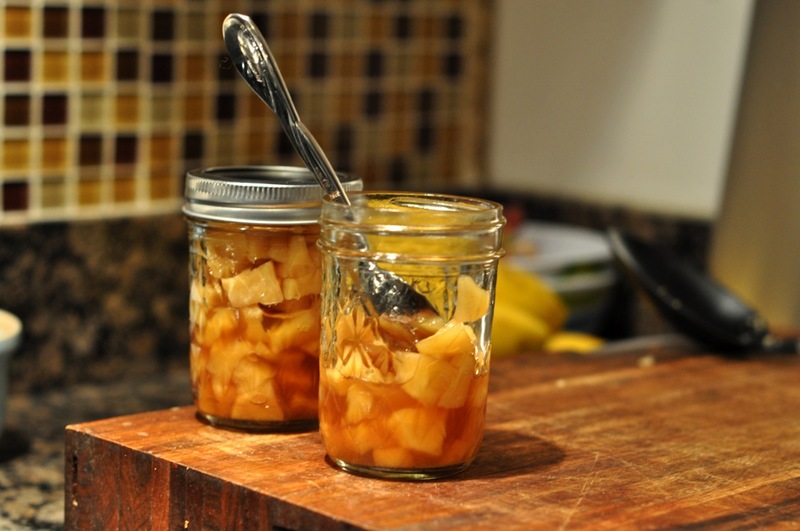 Everyone loves food research.Then, this evening, I made quince preserves. Quince preserves? Yes. The odd and new-to-me fruit that I picked up in a little market on Mission was calling my name, begging me to simmer it with wine and sugar. 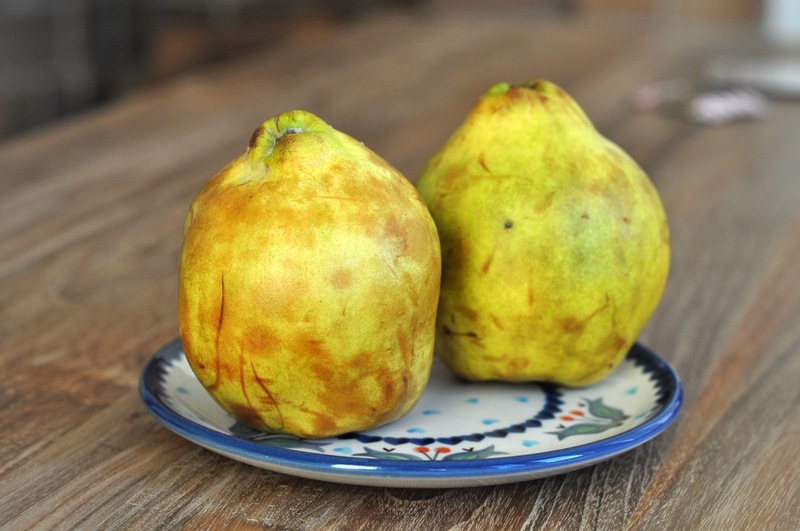 I read that quince are like a cross between a pear and an apple but cannot be eaten raw. Many poached quince recipes popped up in my google searches and one of my cookbooks has a recipe for quince preserves. Fruit put my mind at ease. 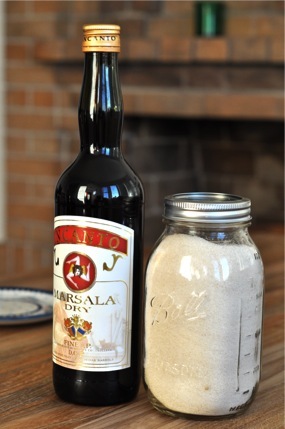 The marsala addition was my adventuresome throw-back to the zabaglione recipe. One a busy winter night, just back from some weekend traveling, I made two jars of preserves. Could we consider that a reference to the “…for two” part of the original swap recipe? While I did not do a very good job with this dish from a preserving perspective and I don’t necessarily recommend that you can the mixture this recipe makes, I do recommend that you cook some quince in marsala wine. This recipe would make an excellent compote for ice cream, cake, or even granola+yogurt. It didn’t quite make enough liquid to fill my jars and I didn’t chop the quince finely enough to make spreadable preserves but the result is ridiculously good. I don’t even like wine and the flavors of the marsala and the fruit are so happy together that I have to pat myself on the back for this one. Really, these are the people with the awesome food. Combine wine, water, and sugar in a medium saucepan over moderate heat. Stir to dissolve sugar. Bring liquids to a boil. Add chopped quince and return mixture to a boil. Cook on high for 15-20 minutes, or until fruit is soft and partly transparent and the liquid does not immediately flow back together when you drag a spoon across the bottom of the pan. Pour compote into glass storage or serving dish (heat up the dish in a warm oven first). Allow the mixture to cool and then cover and refrigerate or use immediately.